One thing I’m not a fan of when it comes to makeup is retouching. Though it’s necessary a lot of the time, if I can avoid it then all the better. That’s why I always try to find long-lasting products that need minimal or no re-touching throughout the day. Retouching whatever lip product I choose for the day I find the most tedious, especially since it’s generally what fades the fastest on you because of eating, drinking, or even just habitually licking your lips. In the end, it’s why I prefer either matte lipsticks or lip stains/tints. They tend to last the longest and usually need very minimal retouching if at all. So when I received chacha go-go at a Benefit launch event back in June, I was quite excited since I never actually got to try the original chachatint. This is the exact same tint except it’s now in a much more convenient and travel-friendly dual-applicator that also has lip gloss. 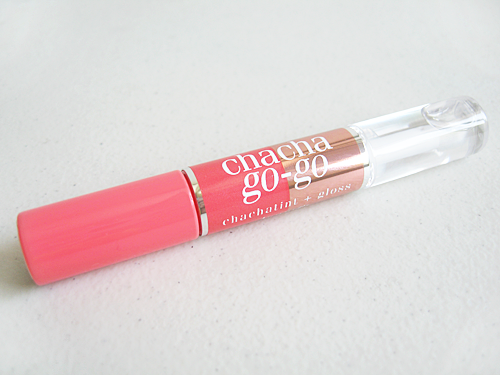 Do the cha-cha on the go-go…chachatint on one end & a shiny clear gloss on the other. 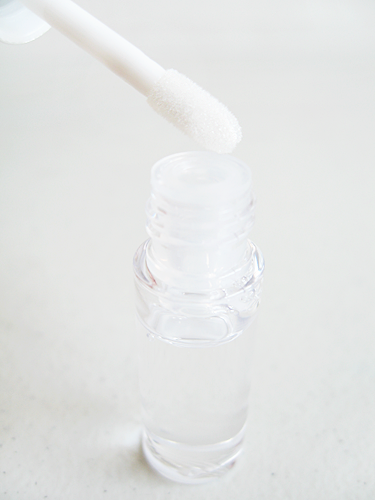 TO USE: Open chachatint carefully then dot on lips and cheeks and blend with fingertip. 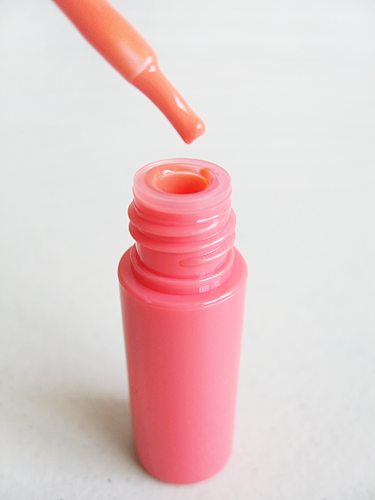 Close tightly and apply clear gloss on lips. I really love the packaging. Aside from the cute, girly color scheme, it’s definitely much easier to bring along with you compared to the original chachatint bottle which is packaged exactly like nail polish. Though both still risk spillage if you don’t secure them closed, at least chacha go-go is slimmer and of course, there’s the bonus of clear lip gloss! On one end you have the stain itself with a brush applicator. You could easily assume the stain was pink thanks to the packaging, but it’s actually a soft orange/coral shade. On the other end is the clear lip gloss with a doe foot applicator. It’s nothing special, just your typical, clear lip gloss though I do find it a little bit too sticky for my liking. To prevent the applicator from getting stained by the gloss, I just apply the gloss to my finger and use that to pat it onto my lips. I, personally, love the shade of the stain. It’s enough to give your lips some definite color without it being too bold so it’s perfect for either day or night. I didn’t bother taking a picture with the gloss applied since my lips looks exactly the same, just shinier, as you’d expect. The formula isn’t drying, but it can emphasize any dry patches on your lips if you don’t prep well beforehand with a lip scrub and/or balm. Oh, and as I mentioned in a previous review, I don’t use cheek stains simply because I don’t prefer them. Basically I find the application a bit of a hassle and I only use cream or powder blushes. Just letting you all know since some of you might be wondering why I didn’t swatch it onto my skin or try it out on my cheeks. Lasting power is the only disappointment for me with this product. You’d expect it to last through a lot considering it’s a stain, right? But sadly after meals or even light snacking it manages to fade away significantly, even faster if you top it off with the gloss. It also fades in a less than attractive manner because it does so in patches, if that makes sense, and doesn’t disappear gradually. I ended up with more concentrated color still clinging onto certain parts of my lips, particularly where it’s drier. I guess a consolation is that it’s easy to retouch or reapply, but it does defeat the purpose of me trying to find a lip product I don’t have to retouch or retouch minimally in the first place. Non-drying formula, but it can still emphasize any existing dryness or dry patches. Fades quite easily during and after eating/drinking. Gloss is a little too sticky for my liking, makes it difficult to spread so I’m forced to pat it all over my lips instead. but I would really love to save some from my budget to buy some of their products!